New Jersey imposes various obligations upon the driver of any vehicle involved in an accident. These obligations are defined at N.J.S. 39:4-129. The obligations exist even when damage from the accident is only to the driver's own vehicle. Damage to property other than a car also triggers these requirements. That would include damage to such items as a utility pole, or a street sign, or a mailbox. The damage in question can be incredibly trivial. A tire scuff mark, or the mearest scratch, is sufficient to trigger the requirements of this statute. Failure to comply with these obligations exposes the driver to a charge of leaving the scene of an accident. The requirements of N.J.S. 39:4-129 apply only to drivers of cars involved in the accident. The law does not impose these obligations upon a passenger, or upon a person who merely witnesses an accident. Thus, while a moral obligation on the part of those witnesses may exist, there is no legal obligation. 3. Provide reasonable assistance to any person injured in the accident. Reasonable assistance includes taking that person to a hospital or to a physician for medical or surgical treatment if it is apparent that the treatment is necessary or is requested by the injured person. 2. Notify that person of the name and address of the driver and owner of the vehicle striking the unattended vehicle or other property. 1. If the property damaged is a vehicle, attach a written notice to it. The attachment must be conspicuous. It must be secure. This notice must specify the name and address of the driver and owner of the vehicle doing the striking. 2. 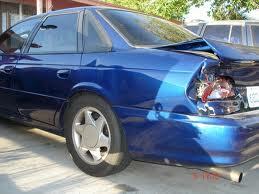 If the damaged property is something other than (or in addition to) another vehicle, the driver is then required to notify the nearest officer of the local police department or of the county police of the county or of the State Police, and then notify the owner of the property as soon as the owner can be identified and located. New Jersey imposes severe penalties upon persons convicted of not complying with any of these provisions. The penalties are severe regardless of whether the property damage was extensive, or just a scratch. The penalties are severe even when no one was injured in the accident. They are much more severe, however, when one or more persons were injured or killed. 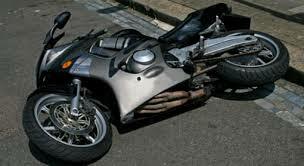 A person convicted of leaving the scene of an accident in New Jersey where someone is injured or killed can be fined. When the judge imposes a fine, the amount must be a minimum of $2,500.00. The fine can be as high as $5,000.00. The judge has the option to impose a jail sentence for 180 days. The judge can also impose both the fine and the jail sentence. New Jersey law specifies, however, that if the person convicted of leaving the scene of the accident is the only person who was injured, then the imprisonment that could otherwise be required shall not be imposed. New Jersey (not surprisingly) adds points to a motorist's driving record for leaving the scene of an accident. The number of points depends on whether or not there was personal injury. Where no personal injury occurred, the number of points assessed is two. Where one or more persons sustained bodily injury, the number of points assessed soars to eight. When the leaving the scene charge is not a felony, it is handled in the municipal court where the accident occurred. When felony leaving the scene charge is charged, it will be handled in the Superior Court of New Jersey. Normally, someone in New Jersey with a previously clean record who is convicted of a third degree felony will not be imprisoned. However, the New Jersey law relating to felony leaving the scene of an accident specifically states that this presumption of non-imprisonment does not apply. Thus the driver convicted of this offense is exposed to a state prison sentence of up to five years. The court may additionally impose a fine of up to $15,000.00. The judge must suspend the person's driver's license. Where nobody was injured or killed, the period of suspension is six months for a first conviction of leaving the scene of an accident. For a subsequent conviction, the period of suspension is one year. In each case, the period of suspension begins on the date of conviction. For leaving the scene of an accident in New Jersey where someone was injured or killed, the judge must suspend the driver's license for one full year. The suspension begins on the date of conviction. If the person was previously convicted of this offense, then the license suspension must be permanent. Through a legislative oversight, New Jersey law does not require the court to suspend the driver's license of a person convicted of felony leaving the scene of an accident. However, the court is permitted to suspend the person's New Jersey driving privileges for up to two years. As mentioned above, “ordinary” driver's license suspensions for leaving the scene of an accident begin on the date of conviction. For felony leaving the scene convictions, however, the license suspension period starts to run only upon completion of whatever jail or prison sentence is imposed. 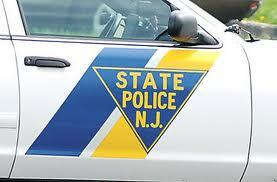 It is safe to assume that if the court does not impose a suspension, the New Jersey Motor Vehicle Commission will. Where no death or injury occurred, the person is still exposed to a fine. The minimum fine is $200.00. It can be up to $400.00. The judge can alternatively impose a jail sentence of up to 30 days. Or the judge can impose both the fine and the jail. This is all for a first offense. For a subsequent offense, the fine shall range from $400.00 to $600.00. The jail term range shall be for 30 to 90 days. As in the previous situation, the judge can impose both the fine and the jail sentence. The obligations imposed under this law arise only when the driver knows that he was involved in the accident. However, the law allows the judge to infer that knowledge when injury or death to any person resulted, or when damage to property was at least $250.00. When a driver is found guilty of leaving the scene of an accident involving death or injury, he is subject to those enhanced penalties even when he did not know that such injury or death had occurred, so long as he knew that he was involved in an accident. When the driver cannot be otherwise identified, the statute allows the judge to infer that the driver was the registered owner of the vehicle. If the vehicle is owned by a rental car company, or is a leased vehicle, the judge can infer that the renter or authorized driver, and not the owner of the vehicle, is the person who was involved in the accident. In that regard, a person who suppresses, by way of concealment or destruction, evidence of leaving the scene of an accident, or who suppresses the identity of the violator, is himself subject to a fine of not less than $250.00, or more than $1,000.00. As shown here, the penalties that New Jersey imposes for leaving the scene of an accident are harsh. These penalties are harsh even when no personal injury or death result. When personal injury or death do occur, the penalties are all the more severe. Any person charged, or who may be charged, in New Jersey with leaving the scene of an accident should immediately speak with a New Jersey lawyer. Generally, the lawyer should be someone who is familiar with traffic issues, and municipal court procedure. For a felony leaving the scene charge, it should be a lawyer with serious criminal defense experience. The lawyer who did an excellent job on a house closing, or who was wonderful on a divorce, will often not be the best choice for a charge of leaving the scene of an accident. There are many things that a New Jersey lawyer can do to protect the interests of the person charged, or the person who may be charged, with leaving the scene of an accident. These steps can lower the likelihood that the person involved will be found guilty. Or these steps can mitigate the harshness of the penalties that would otherwise be imposed. Allan Marain and Norman Epting, Jr. are New Jersey lawyers with over sixty-five years of combined experience. They both have considerable experience with charges of this nature. They are available to assist persons charged with this offense. Page last updated 29 November 2017, and displayed Thursday 18 April 2019, at 06:18:27 EDT.